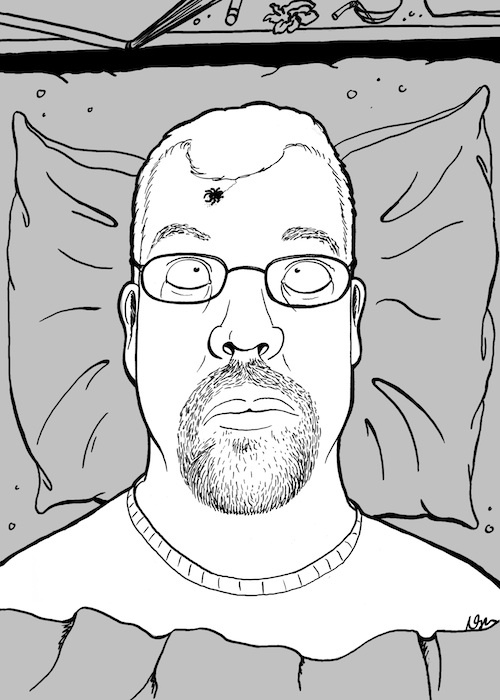 Spider on My Head: Day 1 | Kris Johnson's Blog…sort of. I’m surprisingly not afraid of jumping spiders either. I have also developed an aversion to killing spiders, inside or not. These are fantastic. I’m an art teacher in Milwaukee, and I am doing a lesson on phobias. We are making contour line drawings and they will become an A-Z phobia coloring book. I was wondering if I could use your art and highlight you in a presentation. I think the work you’re creating would really inspire my students. Jonathan, I reached out to Natalie Metzger, the artist from whom I originally commissioned the “Spider On My Head” series, and she and I are both fine with you using these drawings (and the blog posts, should you so desire) in your presentation. Please be sure to attribute Natalie as the artist. Thank you, and best of luck with your class!